This week Cody and I were at Disney World and we walked a ton. It was our 5th wedding anniversary and we had a blast on our trip. I’ll talk more about the trip in a different post. 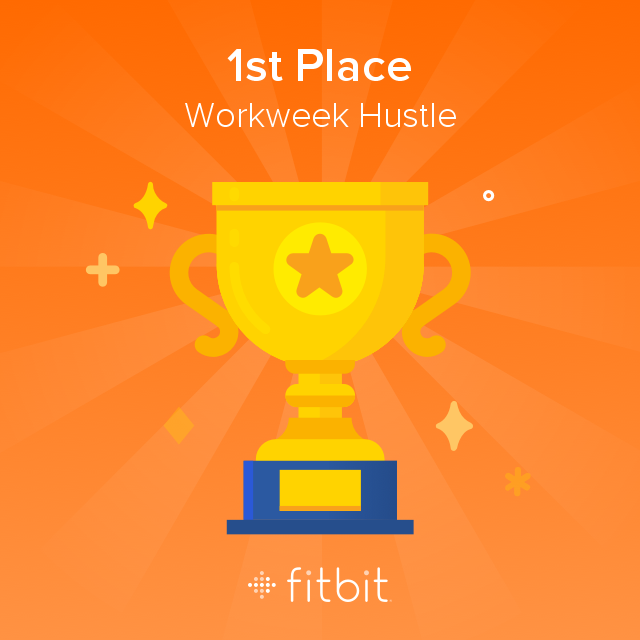 I even knew there would be a ton of walking, so I challenged some friends to a FitBit Challenge called the “Workweek Hustle”. It helped me keep track exactly how much we were walking and as I anticipated I won with 75,552 steps. Yup that is a lot, but it got me thinking. Why do I only think I can win these challenges when I am on vacation walking a lot? I need to be pushing myself every day to get more steps in and get healthy. With my treadmill being delivered on Tuesday, I am going to take advantage of this wonderful cooler weather (it was warm at Disney) and walk Miss Beauty (our dog) at least 3 times a day to ensure I get the steps I need and at the same time ensure that I do not lose the momentum I gained from walking as much as we did. Once I get the treadmill, I think I will reduce her walks a little because that is a little mush for my pup, but I do not plan on dropping them all together, because both of us girls need to be health. So what do you do to keep you health momentum going? Is there a trick of tip you would like to share with a woman working to get fit and healthy? I would love to hear from you, so leave a comment below.